The Friends of the Colusa County Free Library work toward generating community interest in the Library's services & facilities. The Friends of the Colusa County Free Library have raised close to $250,000 since they organized in 1979. Those funds have strengthened library resources, sponsored cultural and educational programs, and purchased much needed equipment. As ambassadors to the community, the Friends believe that the library is one of our community's greatest assets as it serves more people in all walks of life than any other institution. Your membership provides additional funds, year-round, for programs, collections and other needs to ensure the best equipment and resources for our libraries. Join over 200 library and literary supporters and help us build strong, thriving communities. 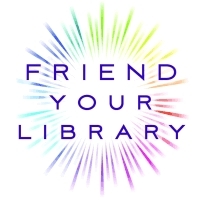 To become a Friend, you can pick up an application at any of the library branch locations, or click here to download and print at home: membership application. The Friends of the Colusa County Free Library encourages and accepts monetary donations on behalf of the Colusa County Free Library. Donations can be made in the form of bequests, endowments, memorials, planned giving, trusts and general financial donations. All donations are tax deductible. Donations can be mailed care of Carolyn Guild, or dropped off to any library branch location. Gifts of any size make a difference! Additionally, books and materials in lightly used or like new condition are welcomed at the BookWorm used book store, where proceeds from their sale are donated directly the Colusa County Free Library. For over 40 years, volunteers have been the heart and soul of our organization. Each year dozens of volunteers donate their time to support Friends. Every volunteer makes a measurable impact in the funds that Friends raises for the Library's life-enriching programs and services. Volunteer opportunities include helping to organize and host the annual May Surprise, our largest fundraising event, as well as volunteering at the Bookworm. For this months selection, click here.